Included as part of Plattsburg's Country Club, is an 18-hole, championship golf course. It covers 6,120 yards from the blue over rolling hills and just a touch of water for added fun. 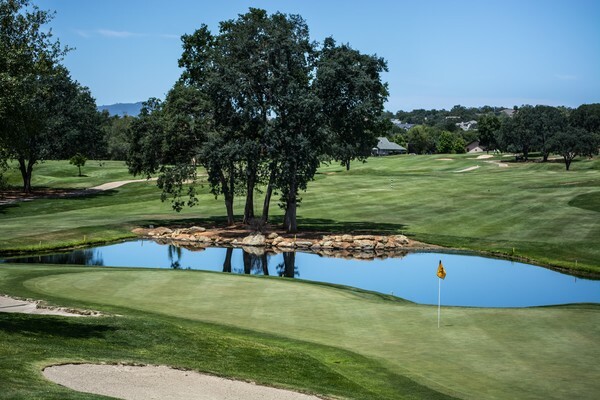 This par 71 course is open to the public year round. 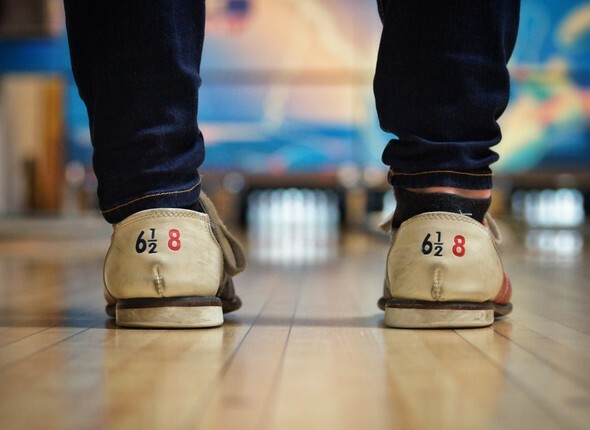 For a night of family fun, check out the bowling alley at Plattsburg Bowl. The prices can't be beat! Open bowling is available on Friday and Saturday evenings but call ahead to ensure open lanes. 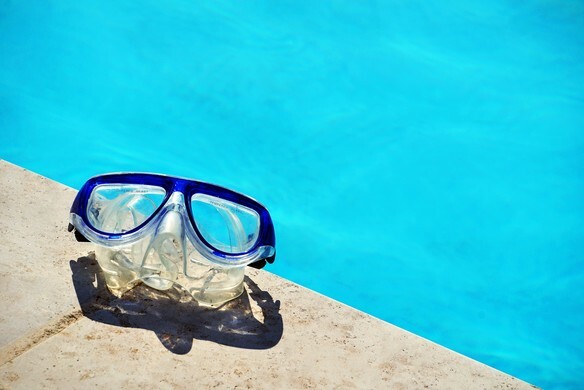 The city's municipal pool (or "Bodie's Pool" as it is known to the locals) features a one-meter diving board, a 68-foot winding slide, an "umbrella" fountain, basketball nets, swimming lanes, restrooms facilities and a snack bar. "Jumping" fountains greet you as you first walk into the pool area, and a zero depth entry is included so children of all ages can enjoy the refreshing water. Located on W. Frost across the street from the elementary school. Open Memorial weekend through Labor Day. 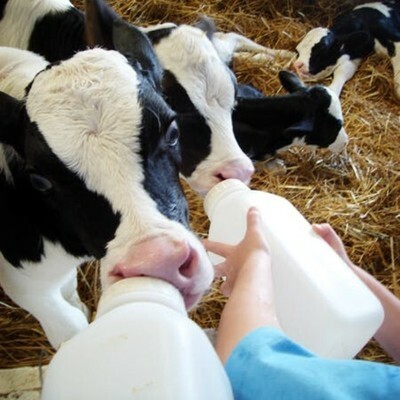 Shatto Milk Company is a small family-owned and operated dairy farm located just north of Plattsburg on Highway 33. Shatto Milk began bottling their own milk for the purpose of providing their customers with the freshest and best tasting dairy products possible. 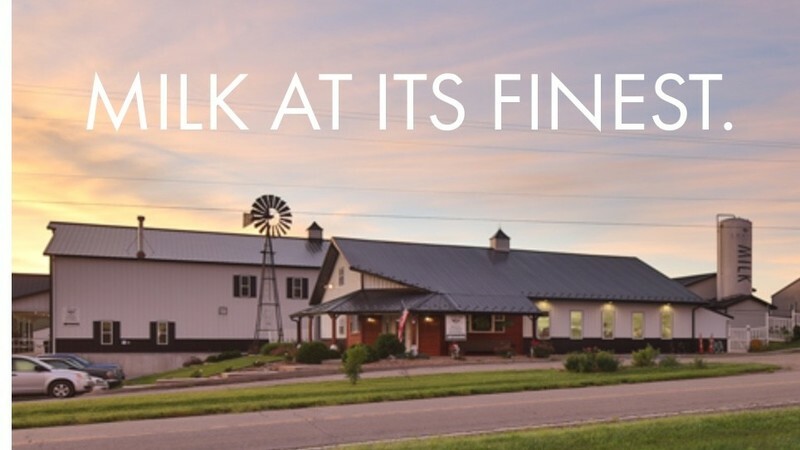 Come tour the processing plant, meet and possibly bottle feed a baby calf, and see where the cows are milked, or milk a cow yourself! Tours are available by appointment only Tues-Sat. 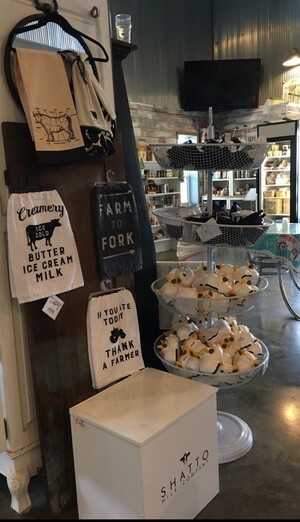 You will also want to stop in the country store before leaving the farm, where you can purchase all of the farm fresh products that Shatto Milk produces, along with a wide variety of apparel and gift items for the young and old alike. 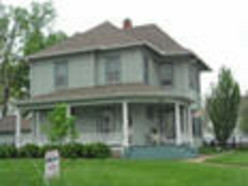 This museum is housed inside an 1889 home and run by the Clinton County Historical & Genealogical Society. 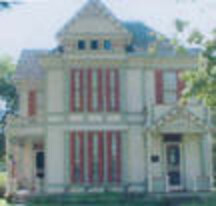 It remained a family home until the Historical Society acquired it in 1968. This home's interior portrays the upper-middle-class life of a family who might have lived in this area during that time. It now includes exhibits from the 1800s and early 1900s such as Chautauqua programs and banners, military uniforms, furniture, art prints, publications, toys, clothing and other numerous historic artifacts and displays. Tours are available year round by appointment only. Admission is free to the public but donations are welcomed. Built in 1893. Victorian. Features a hand-carved staircase. 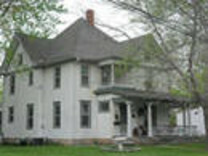 The original owner had farmland that surrounded the house and he would climb to the third story, which had an opening to the roof, to survey his crops. Built in 1883. Eastlake style. The home is completely framed in solid walnut. It features the original pocket doors, push-button light switches, and wind-up doorbell. It also has a calling card brass plate on the front door for missed visitors. 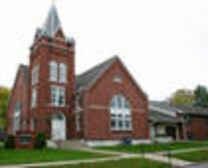 United Methodist Church, built 1894. 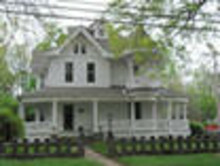 Built in 1908.Victorian style with a wrap-around porch. A deed found in the home reflects the house sold for $3,000 in 1910. Many families have lived in the home but it is most known as the home of the local pharmacist at the time, who lived there for many years. 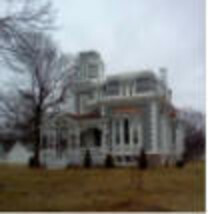 The home was converted to a bed & breakfast in 1992 and reverted back to a single-family home in 2004. Built in 1921. 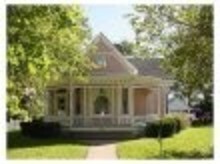 American Foursquare style. 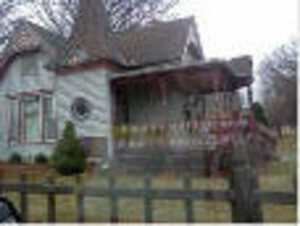 You could order the "core" of this home from the Sears & Roebuck catalog -- it was shipped in pieces. Has one of the only knotty pined lined garages, which was added in the 1970's. Built early 1900's. 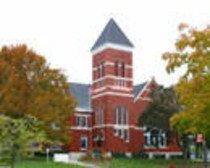 At one time was an Episcopal church, where a large steeple once adorned the upper roof. Inside the home, the original woodwork still stands. Built in the early 1900's. Two-Story Farmhouse with a wrap-around porch. 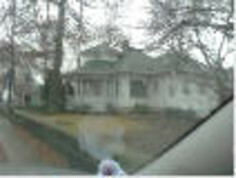 Home of a local physician who saw patients in his home. First Baptist Church, built 1854. First Christian Church, built 1891. Built 1887. Spanish style. Remodeled in 1932. Rear bedroom was once a sleeping porch. It features a drive-thru garage. Riley Carmack Museum built 1889. Was a family home until 1968. The long shutters are original to the house. The closed-shuttered window on the north is a faux window, put there to balance the upstairs/downstairs facade. It is furnished with locally donated items and represents upper middle-class Plattsburg life. Built 1918, finished in 1921. Prairie Style. It has remained in the same family since it was built. 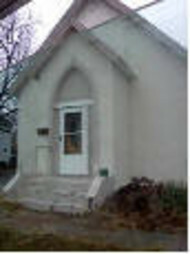 The limestone was quarried locally in Clinton County, which is common to many other houses in town. 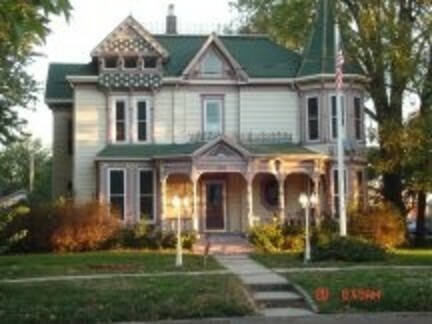 Pink Rosebud Bed & Breakfast, built 1878. 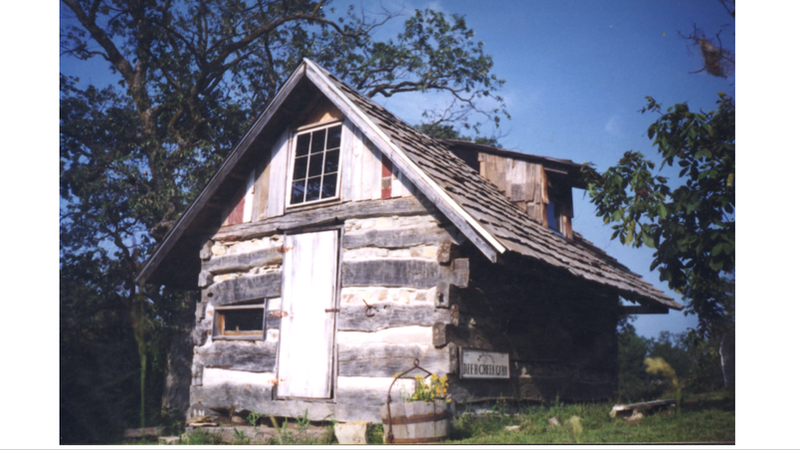 Originally constructed as a square wood frame house. In 1914 additions to the home were made, that were completed in 1922. This included the lions and fountains, and the stone. Stone came from the Federal Courthouse in Kansas City. 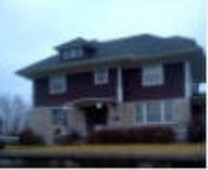 It became a B&B in 1996. 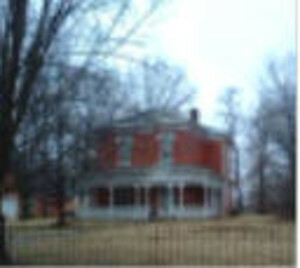 Built 1838, the oldest home on the tour. The house's exterior was once a rosy brick. The bricks were all hand-made. The walls are 12 inches thick. 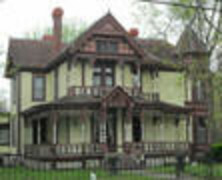 The porch was added in the 1870's to make it a Victorian. The back was put on in later years. During the Civil War the house served as a doctor's quarters. The doctor serviced both sides so they wouldn't burn his house down. Built in 1890's. Second Empire style. A walnut spiral staircase leads to the third-floor cupola. Renovations were done in 2010. Built 1913. 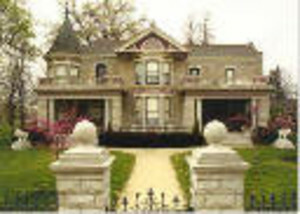 Colonial Revival style. The home's exterior paint palette is copied from very early pictures of the home. Built in 1889. Queen Anne Eastlake Cottage. Local residents reveal for as long as they can remember the house has always been various shades of pink. The home has 24 corners and a cupola that children call the "secret room." Built in 1896. Queen Anne style. Stucco siding was removed to reveal the original clapboards. It took 75 gallons of paint to turn this is into a "painted lady." The home has been featured in numerous regional and national publications. Built 1906 by an owner of a lumber mill, so the house was constructed of the finest lumber available. 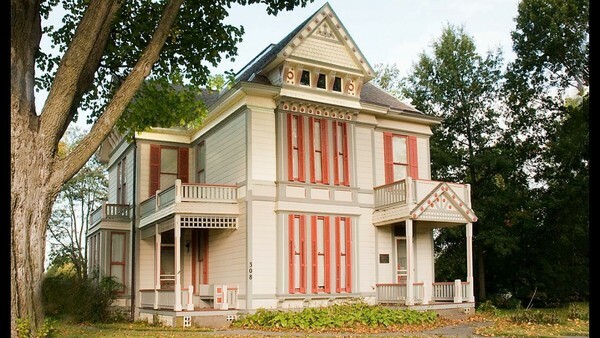 It is called a "Steamboat Gothic" in reference to the upper front porch. 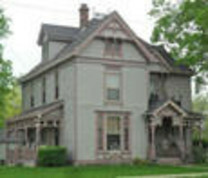 Victorian built 1901. At one time it was a schoolhouse and a boarding house where the single female teachers lived.The "witches hat" in the front is original but the "witch's tower" towards the back is relatively new, within the last 25 years or so.All the detail work on the outside is original. 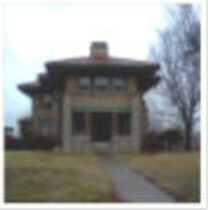 Built 1908 by Colonel Turney. The room sizes are quite nice with a nicely appointed library and formal living and dining on the main level. The breakfast area boasts a cafe booth with an inviting view of the stone fence and yard. The porch is enticing on a warm evening for that small town passing of neighbors and friends out for a stroll. 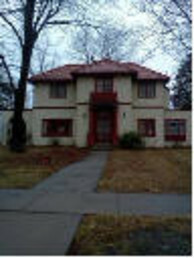 Built 1929 by Dr. W.B. Spalding. 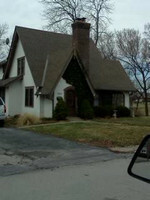 The home is an English Cottage Style home. It has a formal living room and dining room. There is a breakfast room with build in Butler's Pantry. 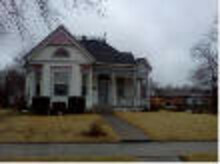 At attached screened porch adds hours of pleasure with the view of the well landscaped yard. Built early 1900's. Victorian style. Asbestos siding was recently removed to reveal the original wood siding underneath. Upper railing and gutters on the roof are original, as well as the wind-up doorbell on the front door. The home was renovated in 2011. Built-in 1903. Victorian Queen Anne. Notice all the ornate details that are original to the home, including the solid wood doors and railings. Restoration of the interior occurred in the late 1990's. Early 1900's. 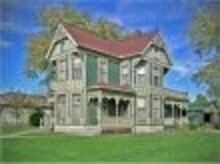 One-story Victorian style. Made from solid oak. Used to be a farm, the garage was a barn. Has a widow's walk, where women could watch for their men to return home from the sea. 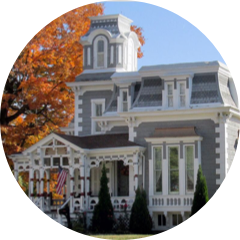 Walking tour of Plattsburg's historic homes along Clay Ave., Birch St., Riley St. and Maple St. are available. Stroll or drive at your own convenience. 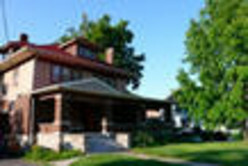 Tours include information about each home's history and its owners, photos and addresses. Tour routes can be downloaded online or printed brochures are available at Chamber Information Desk at Dust Bunnies Mall (111 W. Locust) or at City Hall (114 Maple St.). Plattsburg boasts 6 city parks, the largest being Perkins Park, a 58-acre area. 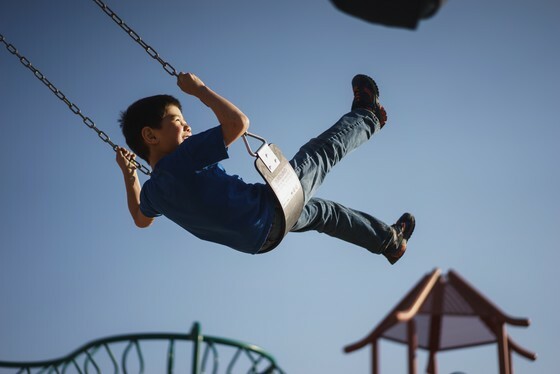 The park includes 2 regulation sized baseball/softball fields, tennis courts, soccer fields, modern playgrounds, several shelters and a concession stand. Located just off Highway 116 at the east end of town.